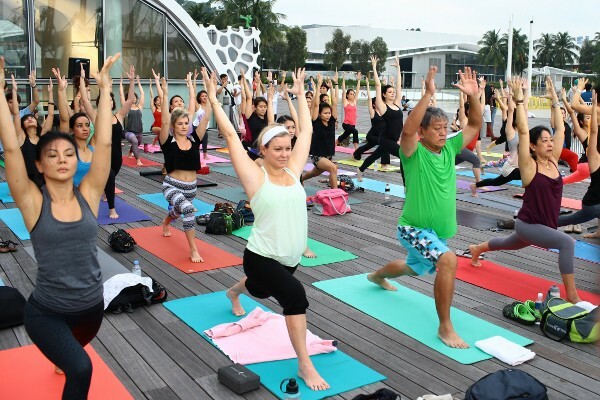 I need to start practising yoga more often – that’s what I realised when I went for the outdoor community class that Lululemon Singapore held in collaboration with R-evolution. We were on the outdoor deck at VivoCity SkyPark, overlooking the water and the cool breeze gave the entire event a relaxed feeling. 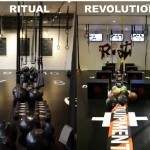 R-evolution, a fitness and wellness centre that offers yoga, pilates, kickboxing, high intensity interval training, massages and a juice bar, is located on the third floor of VivoCity SkyPark – hence having the perfect outdoor space for this. Lynn Yeo and Sumei Shum, owners of R-evolution as well as yoga instructors, led the class with three other teachers for about 75 minutes, and I found myself struggling with poses which I used to get into easily. That’s what happens when you have not done yoga for three years, oops. These outdoor community classes by Lululemon are free for public – you can just check their Facebook page for the next event and RSVP from there. 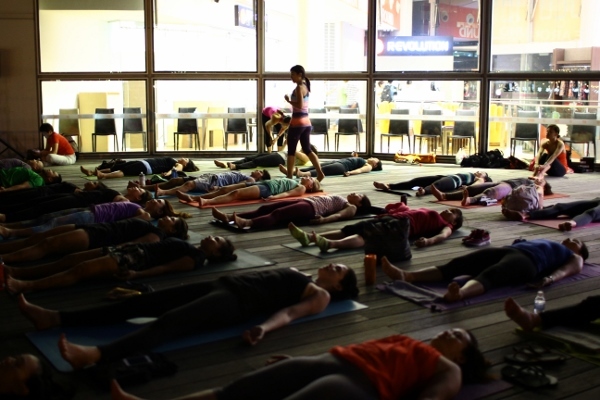 It’s a Bring Your Own Mat thing and usually held at large spaces, such as the space outside Ion Orchard and also at Marina Barrage. The next one is on 12 April from 10-11am by Eion Finn, one of the Lululemon international ambassadors from Vancouver. These events are aimed at spreading yoga to the larger community and gathering people to enjoy the activity together.